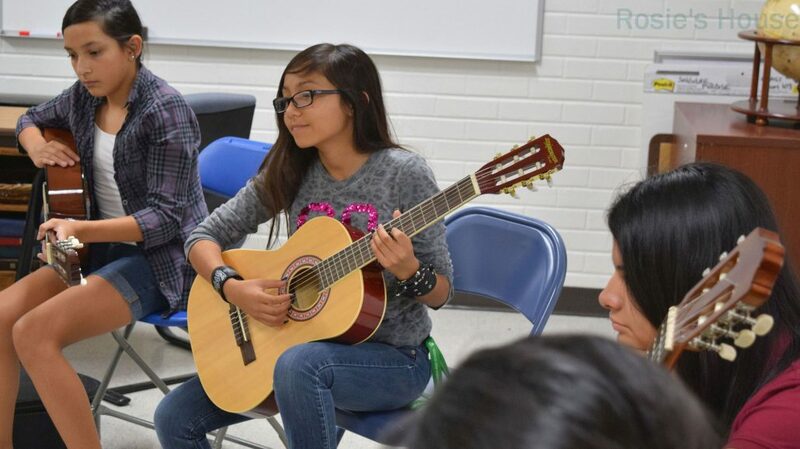 Musicians Mentoring in Classroom (M.M.C.) is a leadership and mentoring program for both Rosie’s House and community students. Music students, ages 14-18, are paired with a Rosie’s House teacher to aid and assist in the classroom for beginning classes in violin, cello, piano, classical guitar, flute, clarinet and saxophone. To learn more about the M.M.C. program and qualifications needed to apply, click HERE.